Tripoli — War is spreading over Libya and armed groups are taking control of Tripoli, which is without doubts the hot zone of the entire Middle East now. 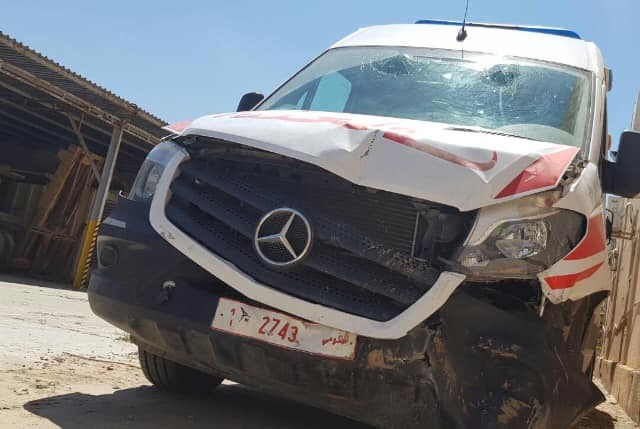 Doctors Without Borders committee declared it was extremely concerned for civilians caught in the ongoing fighting in Tripoli, including refugees and migrants currently trapped in detention centres in or near the affected areas. Since the onset of fighting a week ago, over 6 000 people have fled their homes in the city and surrounding areas. Craig, Doctors Without Borders project coordinator for operations in Tripoli, said the fighting made refugees and migrants in detention vulnerable. The conflict has severely reduced the capacity of the humanitarian community to provide a timely lifesaving response and urgently needed evacuations. “Even in times of relative calm, refugees and migrants held in detention are subjected to dangerous and degrading conditions that negatively impact their physical and mental health,” Kenzie said. The current fighting is the third time in the past seven months that Tripoli has erupted in conflict. Libya, the oil-rich North African country of some 7 million people, is engulfed in crisis since the overthrow and eventual murder of longtime leader, Muammar Gaddafi.